So, you either hate or love Bibi Netanyahu winning and likely forming a strong right-wing, Zionist, Religious coalition. There were four Jewish Congress-critters, Representatives Eliot Engel and Nita Lowey of New York, Ted Deutch of Florida, and Brad Schneider of Illinois, all Democrats, who came out strongly threatening Bibi Netanyahu against extending Israeli law to Jewish communities in Judea-Samaria. Well, that is all well and good for them to do as private citizens, but when doing so as representatives of other Americans and presuming to speak for Jews throughout the land, that is presumptuous to say the least. We are sure that in numerous leftist Synagogues there will be sermons and the usual gnashing of teeth that the Israeli people had the audacity to ignore the advice of their betters, after all, where would Israel be without American support. Well, let us address the so-called critical monetary support Israel receives from the United States once again (previous articles can be read here, here and here). We will not go into the reason that America provides Israel with military aid as that can be read in any of the above articles. What need be told is the limitations on that aid money. 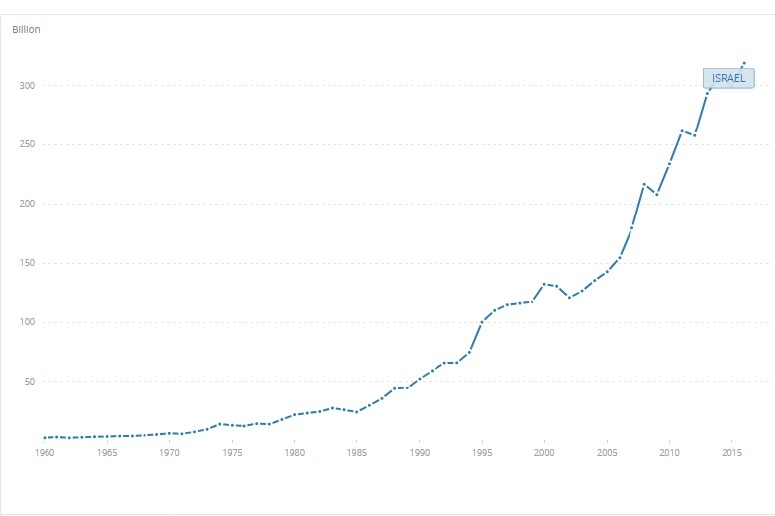 The percentage has shifted over the years but seldom if ever dropping below three-quarters of the aid money being required to be spent on American equipment. The aid money has two main effects in theory. The first is to provide Israel with air superiority, something which has been downgraded slowly over the years to now it is closer to parity with the difference presumably made up for by the skill of the pilots, in theory. The second is to provide supplementary money for the American arms industry. Another effect, many refer to it as a side-effect, is that it makes Israel dependent upon the United States for resupply in times of crisis when Israel is between a rock and a hard place if not resupplied rapidly. President Nixon is loved in Israel for his resolute action during the Yom Kippur War of 1973. 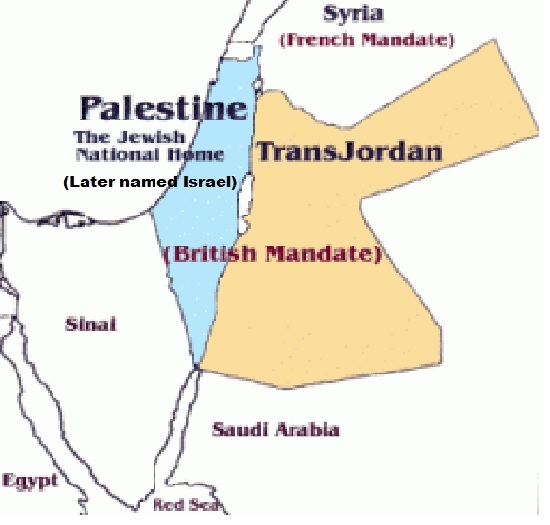 Israel initially lost a great deal of equipment and used a great deal of her provisions turning the tide. This left Israel short on armor such as APCs and tanks as well as running out of the very essential bullets. From history we know that then Secretary of State Henry Kissinger advised President Nixon to force Israel to promise to give all of the former West Bank and Gaza to form a Palestinian State before resupplying her with the vitally needed equipment. If we remember well, he may have said to make them bleed. Nixon, to his eternal credit, picked up the phone, called the Secretary of Defense and ordered him to provide Israel with everything they required and to do so with the greatest of speed. The next hurdle was Europe as every ally refused to permit any resupply aircraft heading to Israel to overfly their airspace, let alone land for refueling. Portugal permitted the United States to use their airfield on one of their islands in the Atlantic Ocean and the resupply arrived helping to save the day, you might say. After this near disaster, the United States placed one of their ready supply depots inside Israel in a location which is a well-guarded secret, probably which can be found using Google. The premise for this depot is should the United States be required to respond to an emergency, they could send troops and these arms could be made ready and provided faster than attempting to bring them from the mainland. 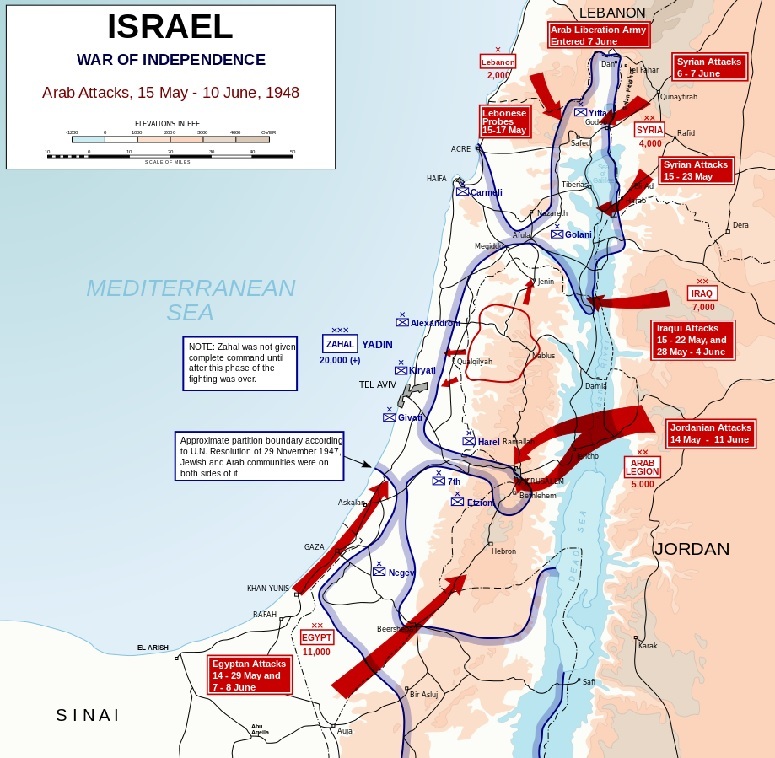 The secondary reason for this depot is that should Israel find themselves pressed for provisions; they have access to this depot which will provide for the immediate while resupply can be arranged without the urgency as in 1973 where Israel came close to the disaster of losing one war. One need remember that should Israel lose a war, it will be the last war Israel fights as after that loss, there would be no Israel. Now for some facts which are often met with disbelief. The United States has not always been Israel’s close friend and military ally. In fact, after President Harry Truman went against every advisor and recognized Israel in 1948, the next thing he did was place an arms embargo across the Middle East, Israel included. For the Arabs this was not a problem as they had the support of Britain, France and the Soviet Union. 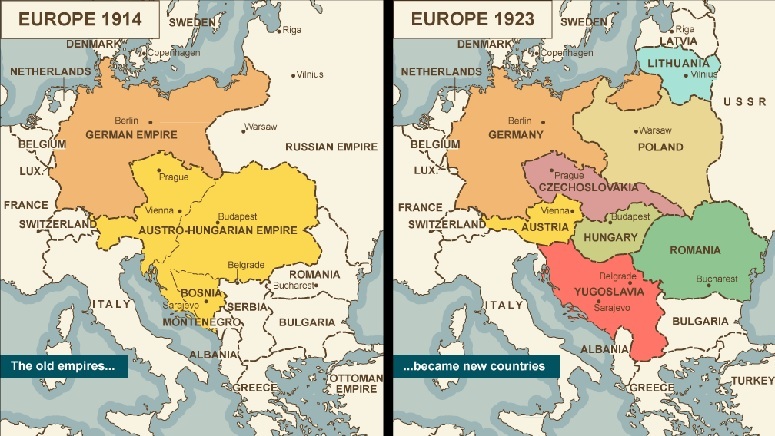 Israel had as her main ally Czechoslovakia. 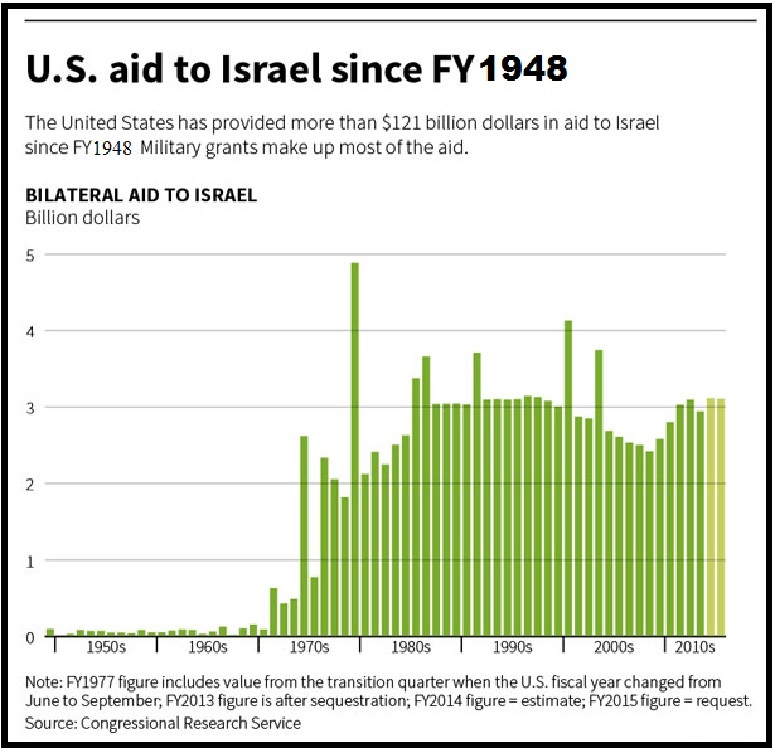 Israel did not receive much in the way of aid from the United States until the late 1960’s and not very appreciable aid until the 1970’s (see graph below). Two items become blatantly obvious when examining the graph. First, is that aid to Israel was nonexistent through all of the 1950’s and well into the 1960’s. Second, is that United States aid to Israel has leveled out at approximately three-billion dollars annually. This fact will become more relevant later in this article. As stated before, the vast majority of this aid must be spent inside the United States. Most of the funds goes for aircraft as might be expected with the next largest amount going for aircraft parts and munitions for those very same aircraft. But the United States receives far more than these orders which benefit keeping the American manufacturing of the weapons of war remaining in business as the demands of the United States Armed Forces would be insufficient to keep all the weapons manufacturers afloat. Israeli orders may not be the largest ticket, but it is not insignificant either. We stated that the United States gets more than just the return of their investment in Israel with orders for arms production from the United States. Probably the two most famous are the Super Sherman Tank and the rear-view mirrors on the F-16 fighter jet which the Israelis noted the pilot was unable to see if there were any enemies at his six o’clock (behind him). 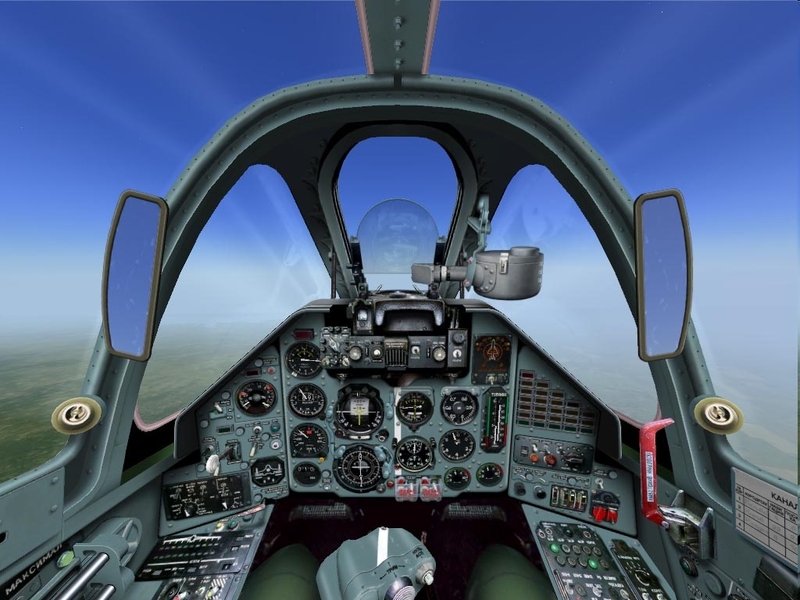 The more modern addition of rear-view mirrors came about when Israeli pilots complained of having a vital blind-spot. Some industrious crew chief came up with the apparently bright idea of using sport mirrors he went and purchased at an automotive supply store which led to a design engineering change which incorporated rear-view mirrors on all F-16 fighter jets (see image below). The above mentioned are merely examples as Israel also has provided numerous improvements, modification and other forms of upgrades, not all of which were adopted by the United States. The Trophy anti-missile defense system is one such example and Israel is working on modified versions for use on other vehicles in cooperation with the United States (article here). Israel also designed some other improvements for other systems including upgraded avionics and targeting systems. Israel agrees with every purchase of American weapons systems to provide full documentation of any alterations, additions or other improvements for the United States to consider whether such would be useful on their own systems. Israel most recent upgrade was the use of the Iron Dome targeting software and related requirements which has upgraded the Patriot anti-missile systems, but this is not supposed to be common knowledge. Back to the American aid provided to Israel. When the aid reached the three-billion dollars, this was fairly close to the total Israeli GDP and was essential for Israeli military capabilities. Today, that aid is approximately one-percent of Israeli GDP. What is amusing is both Israelis and American Jews believe that Israel could not survive without continued military assistance as Israel is incapable of affording her own military requirements. The truth is quite different. The main reason that the United States desires to continue this aid is no different than when it was first negotiated, they do not desire Israeli competition in the lucrative field of military aircraft. Back in 1970 it was to protect the sales of the F-16 while today the reason is likely to protect the existing F-35 and more likely whatever a sixth-generation fighter aircraft system might entail. By having Israel in continued dependence on American aircraft, the United States avoids yet another aircraft competing with their own. The rising costs of military fighter aircraft forced the Europeans to jointly produce their Eurofighter Typhoon, the world’s most advance fighter, according to their advertising. Israel would be well advised to adjust their dependence upon the United States militarily as their aid could become questionable under a new administration. For that reason and for the well-paying jobs which Israel would gain, adding to her GDP, are two very good arguments for Israel to plan on becoming self-sufficient when it comes to military equipment. Now, for those American Jews who wish to force their will and policies upon Israel, we have some basic advice. Make Aliyah and then you can help to elect a Prime Minister and a governing coalition more to your liking. This advice comes with a warning, once you have made Aliyah and are living in a nation the size of New Jersey, and not one reaching from one ocean to another ocean, your views will rapidly become more realistic and fitting to your location. Currently, any advice or demands you place upon Israel do not have any effect on your day to day lives. 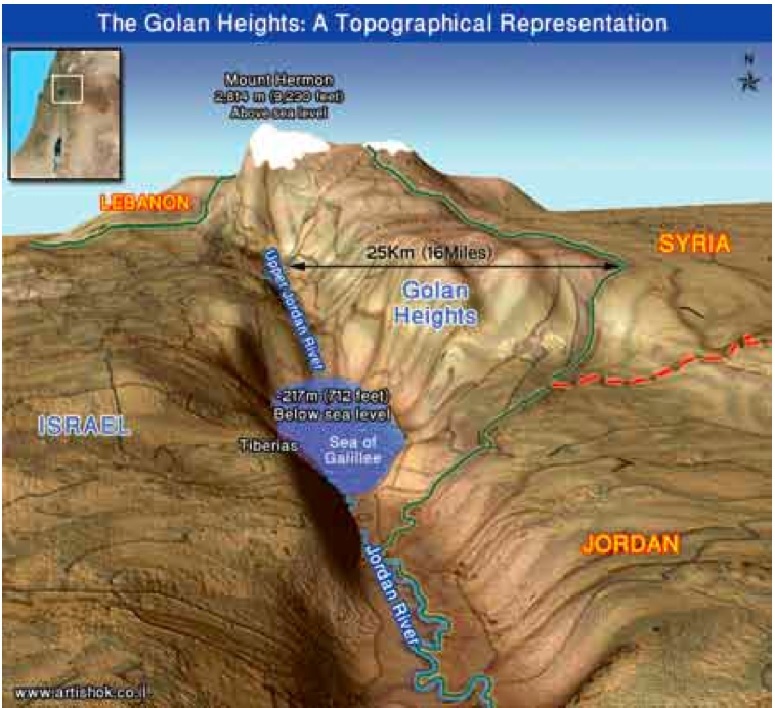 When you are in Israel, let us say Tel Aviv, and you look to the west and can see the Judean Hills which you currently insist must belong to some Palestinian Arab state, you get this chill down your spine if you have any sense of military strategies. The picture below pretty much defines the result of a Palestinian State along the Green Line. This and the increasing rate of conflict and terrorism are a rude awakening but it is also why Israel seems to be moving more to the right despite the warnings from the left in the United States. It is not that Israelis are not listening to their counterparts in the United States, we are. It is just we tend to consider it almost as much as we react to things staring us in the face, so to speak or literally. 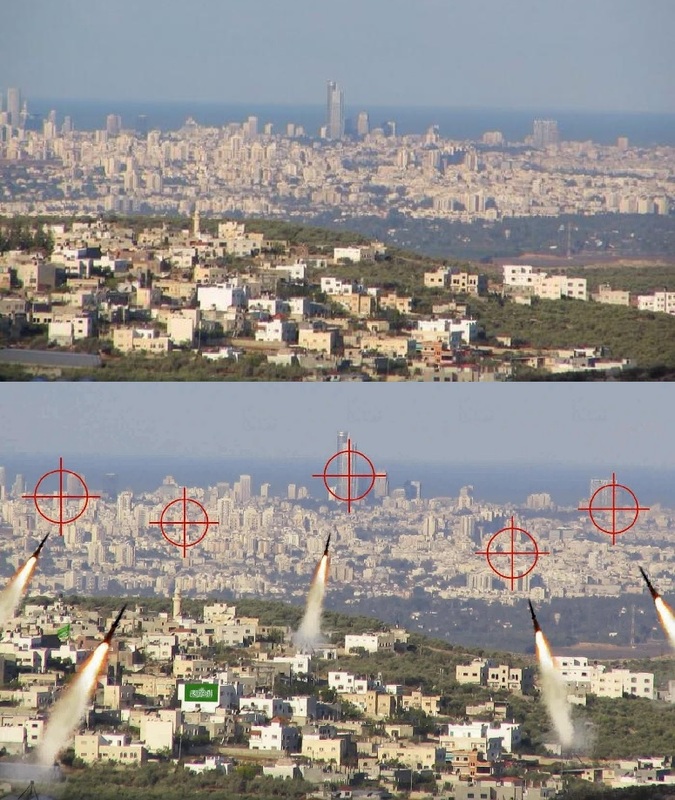 The last Gaza war, the only reason that buildings in Tel Aviv were not struck and toppling into the streets causing thousands of deaths was simple, the Iron Dome systems which were placed between Tel Aviv and Gaza. Their near miraculous interception rate of close to ninety-percent became the miracle of that war, but eventually a way of getting past the Iron Dome systems will be found and we can only pray that Israel has the next system which will make the Iron Dome obsolete will be ready in time. Israel lives on the knife’s edge with no lack of enemies attempting to press us down and cutting Israel until there is no Israel. Living surrounded by people who desire your complete and utter destruction tends to affect the choices you make when voting. Israel is the safety net for Jews, all Jews. We were the safety net when the Arab world expelled almost all of their Jews during the 1950’s and Israel will be the safety net should Jews anywhere, yes, including America, require finding a home with minimal notice. Israel will not ask if you have any wealth or a job waiting or even an Israeli passport, only that you are a Jew needing refuge. Israel will take such Jews in with open arms and welcome them home, nothing more and nothing less. Jews who believe that tragedy cannot come to the nation in which they live are ignoring Jewish history which should have taught us that nowhere remains safe for the Jews indefinitely. Yes, even the United States has had its time where Jews were evicted from their homes when General Grant ordered the expulsion of all Jews in his military district, comprising areas of Tennessee, Mississippi, and Kentucky. Sure, President Lincoln countermanded that order, but by the time the orders reached Washington D.C. and were reviewed and the countermand was returned to Grant, much of the damage had been done. With the rising anti-Semitism around the world, Israel as the safe haven for the Jewish People has become more important with every passing attack upon Jews anywhere. With Jews being assaulted in New York City, once a safe haven for Jews, what more evidence is required that things are changing. To quote Frank Sinatra, sort of, If it can make it in New York, it can make it anywhere. That is as true for anti-Semitic attacks and worse as well as it worked for Frankie. What counts, Representatives Eliot Engel and Nita Lowey of New York, Ted Deutch of Florida, and Brad Schneider of Illinois, is that Israelis elected a government which will protect them and provide the decisions they find favorable. 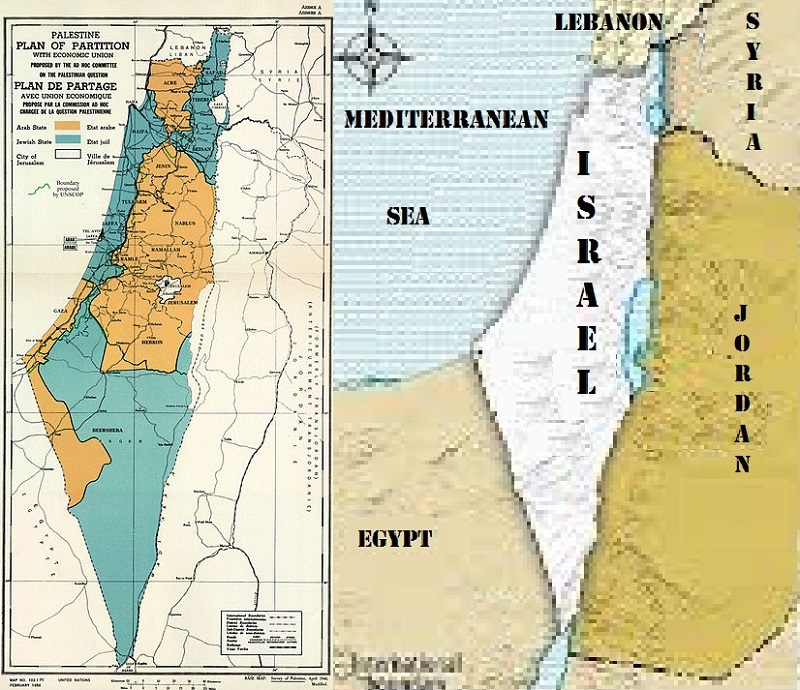 Further, if the Palestinian Authority can extend their civil law to the regions under their control under the Oslo Accords, why should Israel be prevented from the exact same actions in the regions Israel was granted control by those very same Oslo Accords. If you feel so strongly that you know better than the Israeli public and their chosen governance, then make Aliyah and form a party and run for the Knesset here on those very same ideas. We would wish you luck with your views in an Israeli election, but it is in Israel that you need be to exact the changes you desire for Israel, not in Washington D.C. We would welcome you with open arms, just come here and then you can work to make Israel in your own image. In the meantime, until you make Aliyah, allow us the privilege of electing whom we choose and have them fulfill the promises for which they received so much support. Thank you in advance for your understanding and hoped for making Aliyah so we can discuss this on equal grounds.